Hi there!! Welcome to Sneak Peek Week for Jaded Blossom's Birthday Celebration!! I can't believe its already been a year since they have had their first release!! I am so happy for Candace and Michelle! Today we are showcasing the stamp set called Hey Cupcake! The file came from the Silhouette store and is by Lori Whitlock! I sized it with the help of my DT sister Jamie! Be sure to stop by the Jaded Blossom blog for more inspiration! This is such a cute box!!! Yummy! Love your box too. 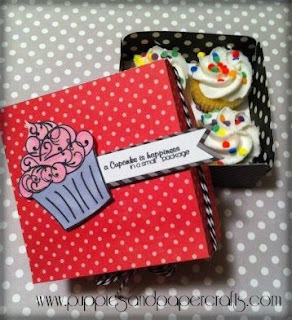 Love the cupcake and box!! Nice gift idea! Love this box! 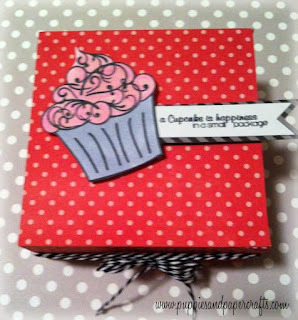 Love the cupcake image.